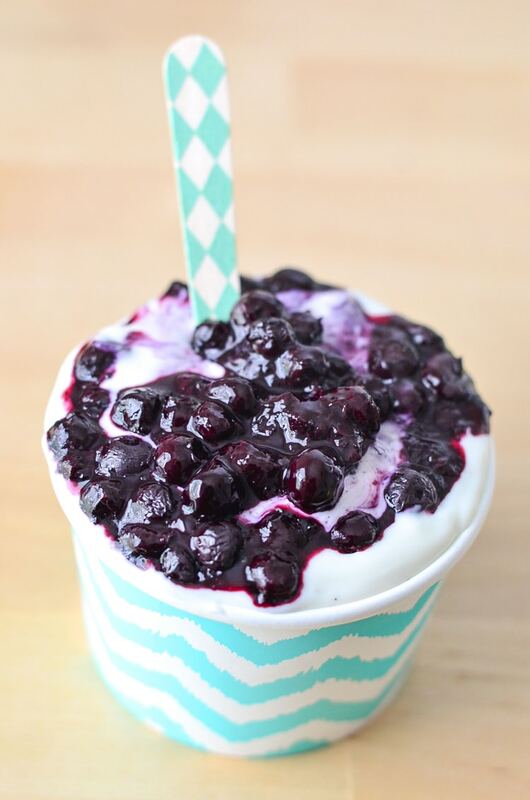 Homemade blueberry yogurt recipe and you could easily make it a blueberry yogurt smoothie for breakfast by adding a bit of ice and blending! 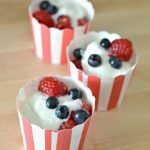 Everyone loves homemade yogurt and by making yogurt at home you can really save a ton. 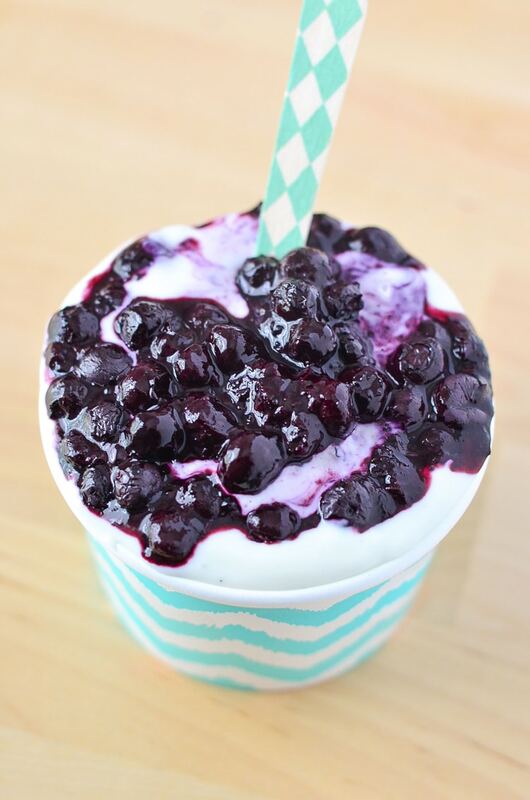 We combine real food for our Semi Homemade Blueberry Yogurt! 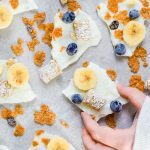 Easy to make and a healthy snack. We buy the bigger plain containers of yogurt to save more instead of buying a ton of the flavored travel sizes. We sometimes get the smaller flavored sizes for travel, but for the most part we like to do make semi homemade yogurt. Every Monday my daughter and I make a recipe LIVE on periscope! 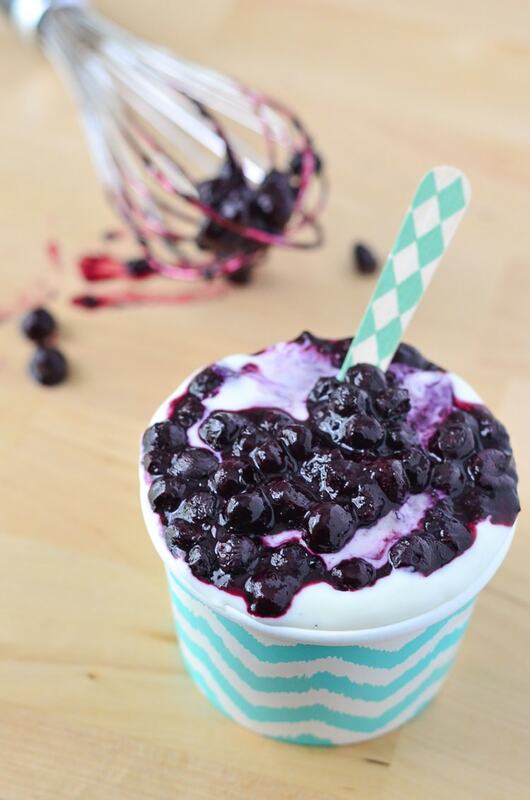 This past week we made our semi-homemade yogurt recipe with blueberry compote! 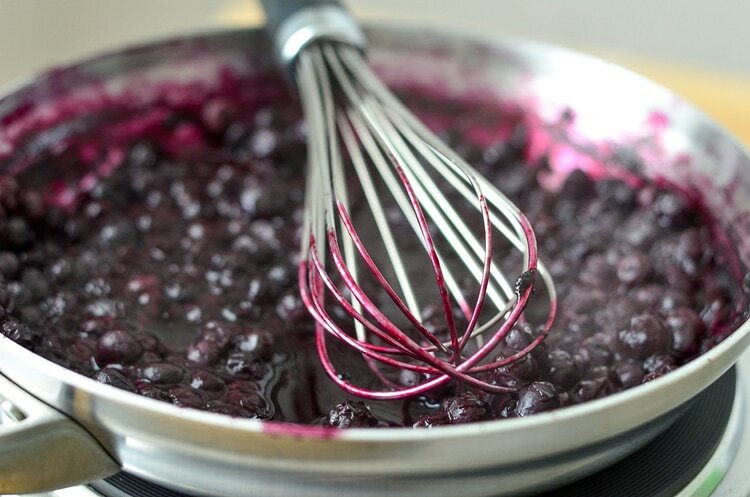 We have a recipe for blueberry compote already but tried it another way this time, and it was so tasty! It’s so much fun to get in the kitchen with her, and we do it most of the time together. Whenever I cook, she’s with me trying to learn how to do it too. I am the founder of Mini Chef Mondays; it’s a series where we encourage children to get into the kitchen and learn all about food and the cooking process. 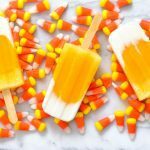 It’s so much fun to see all of the recipes created by the bloggers every week with their kiddos! I know it’s called Mini Chef Mondays and that’s because it may be hard for most to get kids in the kitchen every day. We try to dedicate at least one day to focusing on letting our daughter completely do her own meal. At least that’s how we started; now she’s doing one meal a day on her own. The only thing she hasn’t learned to cook is raw meat since she’s a bit squeamish and that’s okay! I was a little iffy until I was older too. 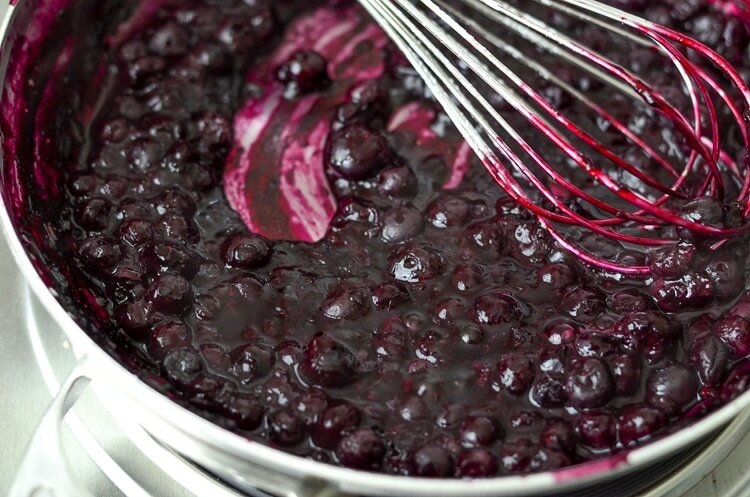 In a large skillet cook down the blueberries with water and sugar. Bring to a boil and then reduce to medium heat for about 10-15 minutes, just until berries are cooked down, stirring often. If sauce isn't thickened, add in the cornstarch and mix to dissolve. 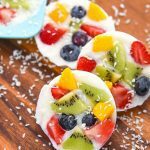 Allow to cool and put over your favorite yogurt. One of her favorite things to make is dessert. This kiddo has a sweet tooth! I guess it’s okay since she considers dessert nice cream and whole milk greek yogurt in a bowl. 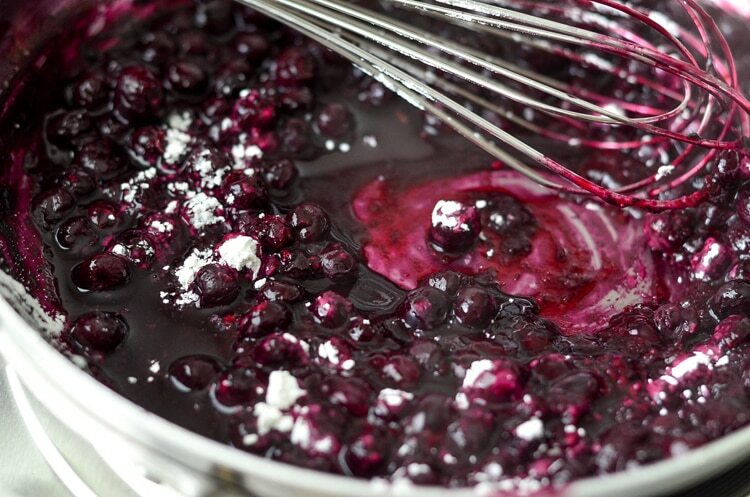 Sometimes as a treat we’ll even make homemade flavorings for our yogurt. We take real food ingredients and put it right into our favorite yogurt. 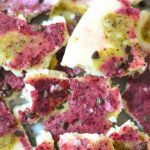 It makes it such a pretty color and gives it great flavor! We’re not a fan of overly sweet yogurt, so you can adjust the sugar to your liking. 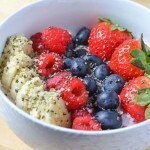 If you don’t like fruit or bits in your yogurt try our maple yogurt recipe! 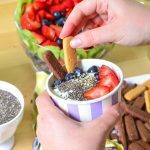 This isn’t just for yogurt; you can put it on pancakes, ice cream, french toast, bananas, or whatever you’d like! 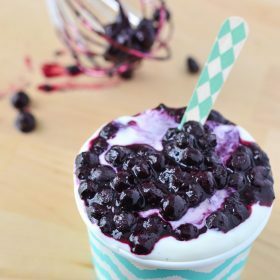 This semi-homemade yogurt recipe using blueberries is so simple to make, and it’s incredibly delicious! 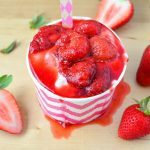 Join the Mini Chef Mondays newsletter to get the latest recipes delivered to your email each week! Don’t worry; we will only use your email for Mini Chef Mondays recipes, pinky promise!